Continuing on with the trip my father and I took to the city of Tiberias in August of last year, we left the Old City and drove up the hillside in search for a number of keverim – holy tombs of Jewish sages. 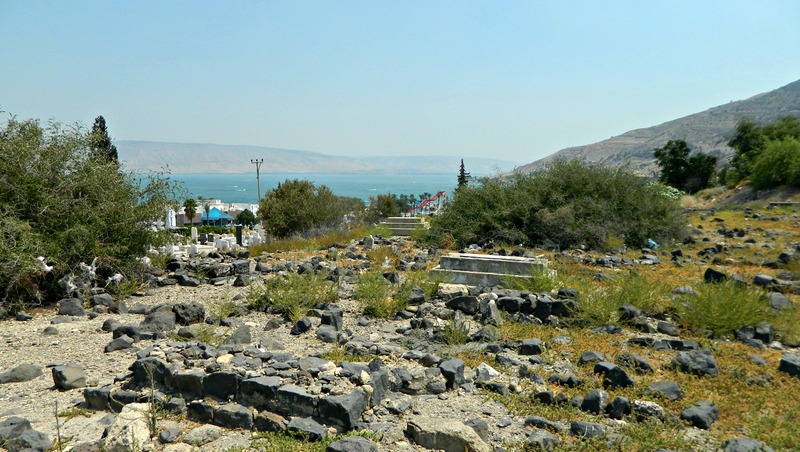 Being that Tiberias is one of Judaism’s four holy cities (the others being Jerusalem, Hevron and Tzfat), the Jewish presence was strong in the lakeside town for thousands of years. Many great rabbis called Tiberias and the surrounding villages their home, and thus many were buried throughout the city over the generations. Our first stop was to the kever of the Rambam (Maimonides), a great scholar, philosopher, author and physician who lived in Spain and North Africa in the 1100’s. Interestingly enough, the Rambam was appointed physician to Saladin (of Crusader fame) and it is believed that through his position in the Ayyubid sultan’s court he was able to ransom Jewish captives from the hands of the Crusaders. 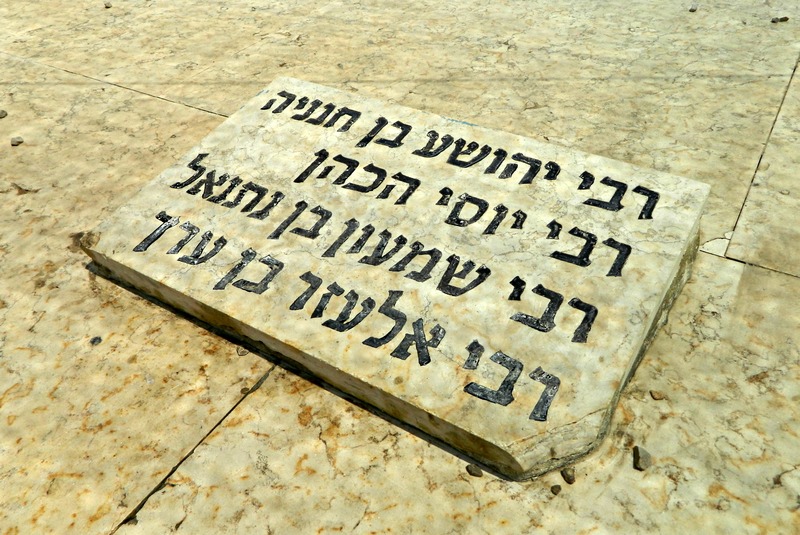 The Rambam passed away in Egypt and his body was taken to Tiberias for burial, where today it is a city landmark. 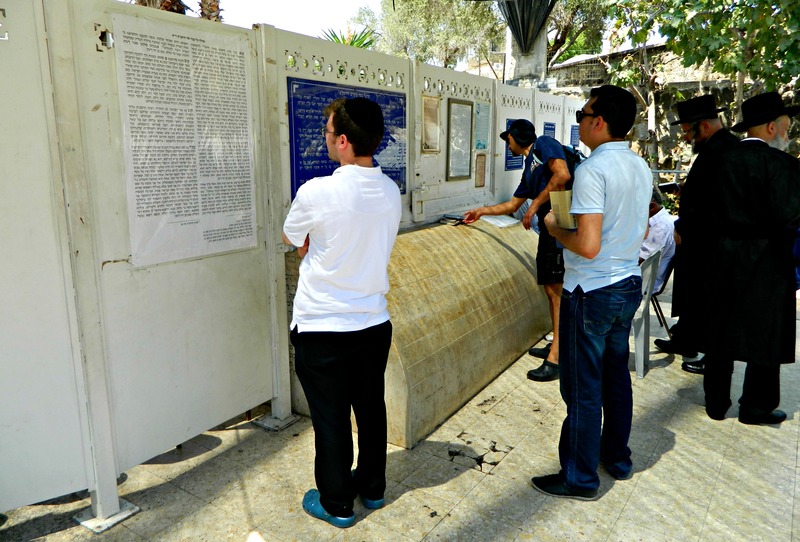 Overlooking the kever of the Rambam is the Maimonides Heritage Center which has a small museum on the Rambam as well as hosting various activities and events for groups. Chronicling the life, the works and the legacy of the Rambam, there is much to be learned for all visitors of the centre. 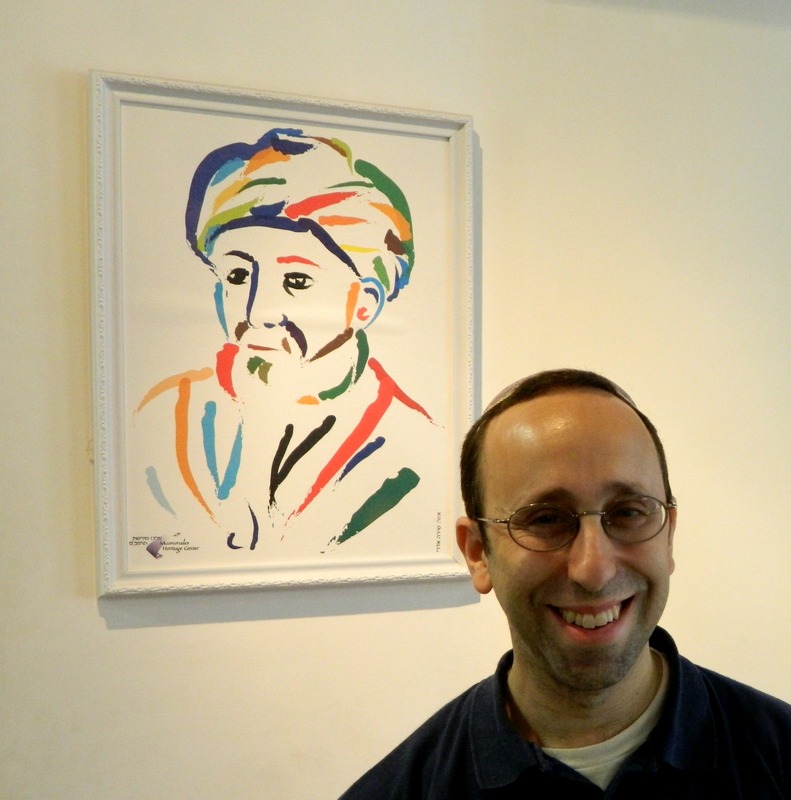 Rabbi Michael Schachter was gracious enough to give us the full guided tour – which we found rather informative. Taking leave of the Maimonides Heritage Center we drove up the hill to the kever of R’ Akiva, one of the greatest Jewish sages of all time, who was martyred by the Romans. Of humble beginnings, R’ Akiva married the daughter of the wealthy Kalba Savua of Jerusalem and then, after being ostracised by his father-in-law, left to study – through great self-sacrifice for both him and his new bride, Rachel. Beginning in the yeshiva of the aforementioned R’ Eliezer ben Hyrcanus, R’ Akiva rose to lofty spiritual heights and amassed 24,000 students in the course of twelve years. After the failed revolt of Bar Kochba, R’ Akiva was sentenced to death by the Romans and was buried on the hillside above ancient Tiberias. 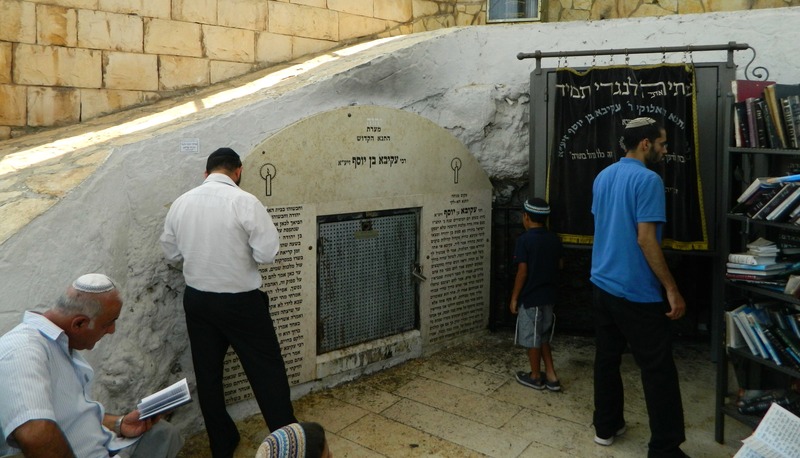 Beside the kever of R’ Akiva is the kever of the Ramchal (or R’ Moshe Chaim Luzzatto), a rabbi, kabbalist and philosopher from the 1700’s. Born in Italy and having spent time in Amsterdam, the Ramchal’s teachings were often rejected by the local rabbinate and his books were even burned. 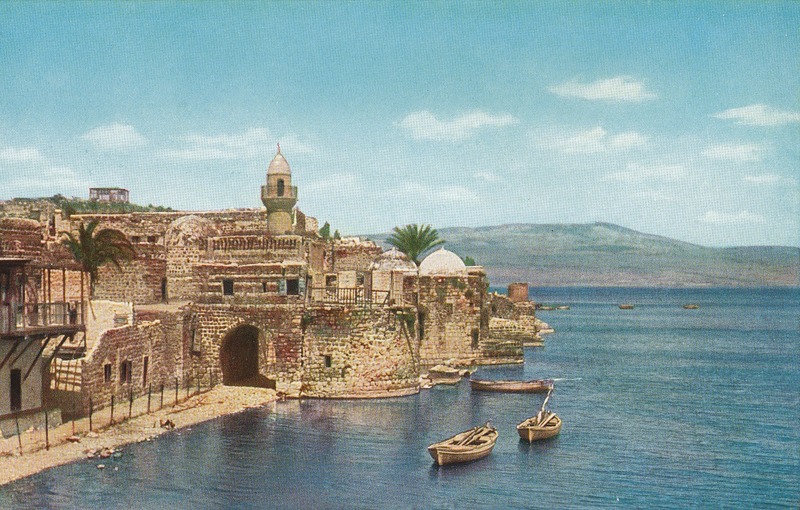 Frustrated, the Ramchal moved to the Holy Land and settled in port city of Akko. Tragically, he and his family perished in a plague but his teachings live on as a staple for self-improvement and piety. From the stone plaza just outside these two keverim, the most magnificent view of Tiberias and the Kinneret (Sea of Galilee) is to behold. Stopping off briefly at a supermarket for lunch supplies, we continued south until we reached the kever of Rachel, the wife of R’ Akiva – a saint in her own right. Overlooking a waterpark and the ancient Jewish cemetery, we stopped to both pray and take pictures. Back on the road, we drove along the water passing two sites I intend to visit on a later trip: Berko Archaeological Park and Hamat Tiberias (hot springs held in great value since antiquity). Our final destination was the kever of R’ Meir Ba’al HaNes (who name translates to R’ Meir the Miracle Maker), another great sage from the period of the Tannaim. A student of R’ Akiva – one of the only five to survive the terrible plague, R’ Meir requested to be buried in the Holy Land in a place where the water would lap at his grave. And so, when he passed away, his body was brought to rest at the foot of the low mountains along the banks of the Kinneret. Nearly a full year ago, shortly before going on the wine tour (starting with the Tishbi Winery in Zichron Ya’akov), I went on a day trip to Tiberias (also known as Tverya) with my father. 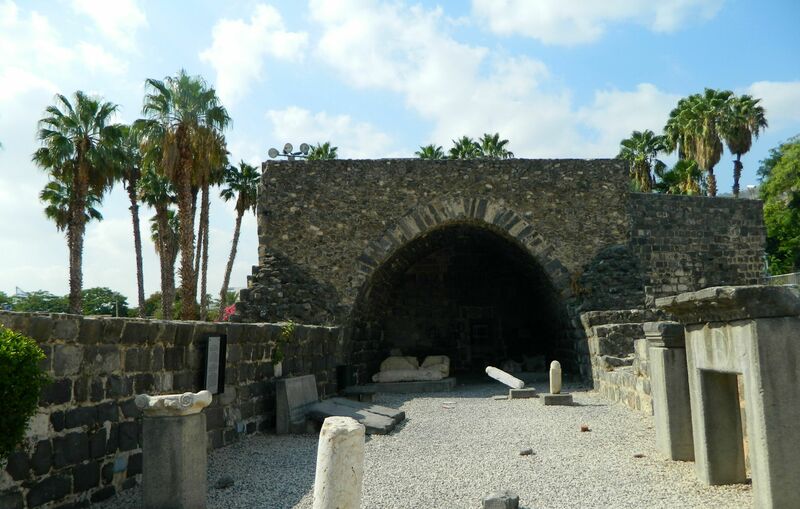 Although being a very important city historically, and just a short drive away, Tiberias hadn’t been at the top of my lists and has therefore been neglected for far too long. However, I shall now right that wrong and regale the tale of our journey. We started out early in the morning, grabbing some borekas and a sfinj (Moroccan doughnut) from the local Peace Bakery. We stopped once along the way, just minutes from Meron, at some ancient graves of Jewish sages, which dot the Galilee with their mystical blue domes. Shortly thereafter, we were driving along the Kinneret (Sea of Galilee) on Israel’s longest highway – Road 90 – and we entered Tiberias from the north. Searching for the visitor information centre in the Old City, we parked and went to pay for parking at the designated machine. When we returned, a parking violation ticket was sitting on the windshield and so we went on a merry chase demanding justice, for our ticket and the parking slip we purchased were time-stamped at the same time, to the minute. We ended up in a government office where we filled out a form protesting our fine and with that hiccup taken care of, started our tour of Tiberias. Picking up information at the visitor centre, which is actually housed inside old ruins of an ancient synagogue – one of the city’s thirteen mentioned in the Talmud, we started our walk around the Old City. Right beside the parking lot is the Court of the Jews, the first modern Jewish community founded in 1740 during the era of the Bedouin ruler Daher al-Omar. Surrounding this cobblestone square are a handful of synagogues and yeshivas of various antiquity. 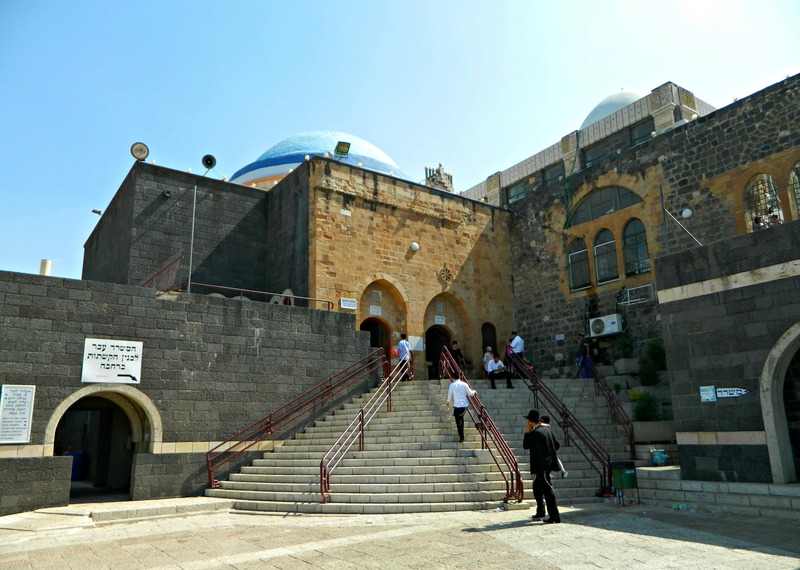 The oldest, the Etz HaChayim Synagogue, was built in 1742 by Rabbi Chaim Abulafia of Smyrna and was a major centre for religion in the region for many years. 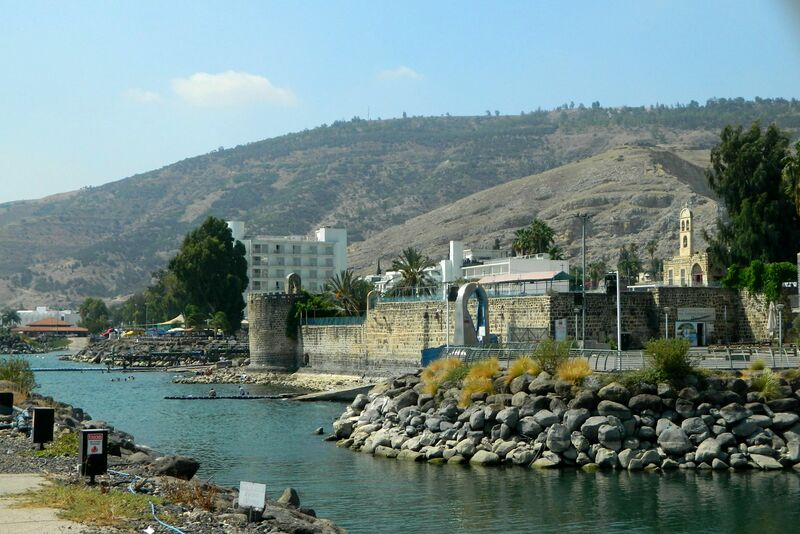 Due to Tiberias’ location on a faultline, the city was wracked numerous times by violent earthquakes, and in 1934 a great flood ravaged Tiberias, permanently reshaping its coastline. Beyond the synagogue is the gate of the Crusader fortress, a wooden bridge crossing over an empty moat, with the old Jewish quarter now covering the remains of the Crusader fortress. During the Crusader times, the city changed hands a few times before the Mamluks finally drove the Franks permanently out five years after stopping the Mongol invasion some thirty kilometres southwest of the city. Reaching the waterfront, we walked along the boardwalk watching the boats sail against the hazy backdrop of the low mountains on the Golan side of the Kinneret. 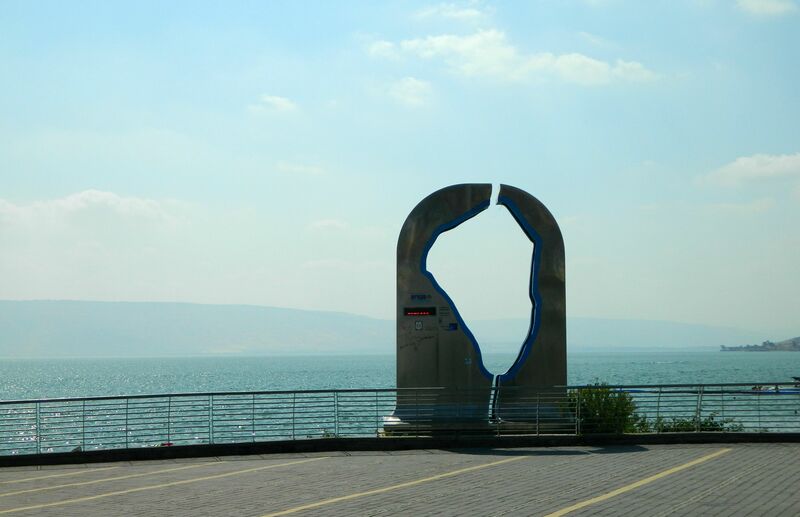 With the water level of the Kinneret being a national concern, Israel’s water company Mekorot installed a water level surveyor on the boardwalk to publicly display the current level. Last post (Yarkon National Park) mentioned how most of the country gets its water, and it’s at the Kinneret where the artifical journey begins. Now it is the summer, Israel’s dry season, so the water level reports are mostly the gradual evaporation of the Kinneret but during the winter and spring, the water levels rise dramatically after heavy storms and there is actually a Twitter account dedicated to reporting the water levels throughout the year: @kinbot. With the current levels being “below red lines”, it is hard to imagine the flood of 1934 which destroyed a good portion of the city, and there are even markers today which show just how far the water reached on the walls of the lakeside buildings. We peeked into the Tiberias Rowing Club and then passed the Greek Orthodox Monastery whose leaning corner tower has become quite an icon in the Old City. Visiting the rocky, and surprisingly littered, beach we then walked back towards the heart of the city alongside the old Crusader wall (rebuilt by Daher al-Omar), enclosing the city from the south, under the shade of beautiful orange-blossomed royal poincianas. 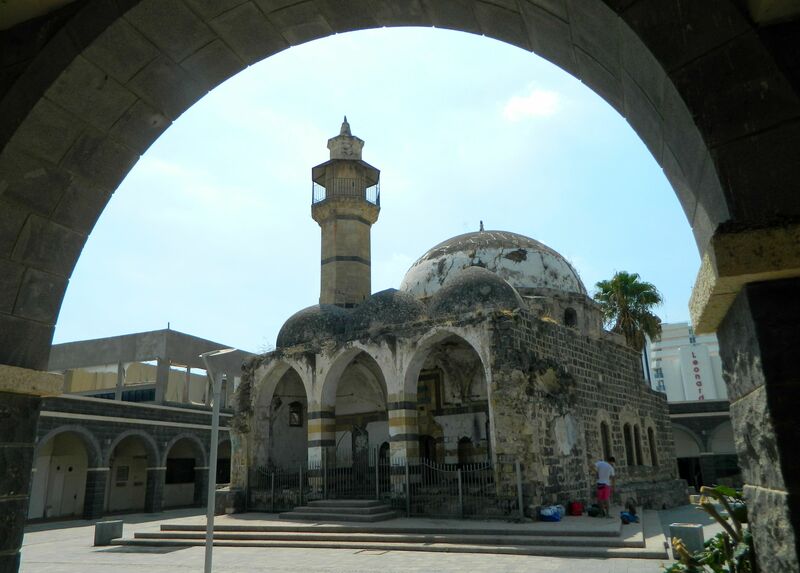 In the shadows of numerous hotels, we found our way to the abandoned al-Omari mosque, hidden behind a strip of closed storefronts. A local informed us that the city plans to renovate the area and make it more of an attraction; I wonder if the mosque will get similar treatment. We continued heading north, walking among the dark grey stone buildings until we reached the Saraya. 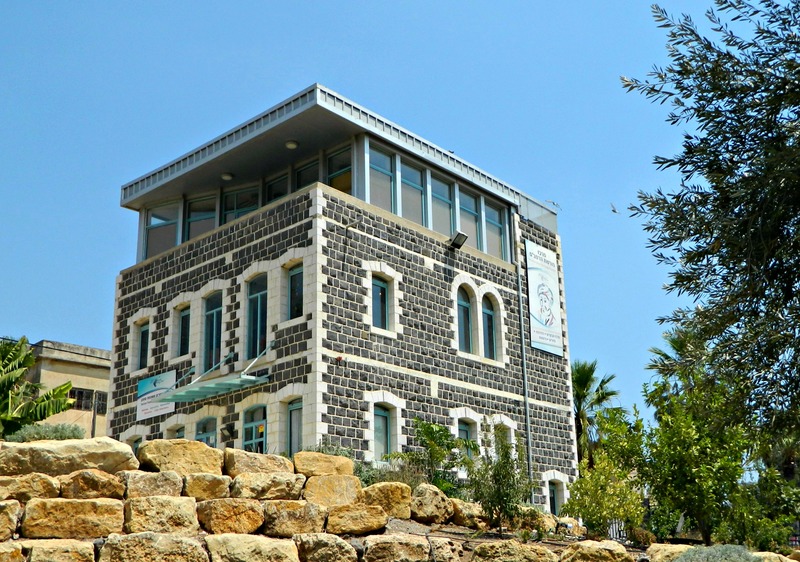 A large Ottoman government building, sarayas can be found in several old Israeli cities including Tzfat (Safed) and Akko, where the regional commands was located. 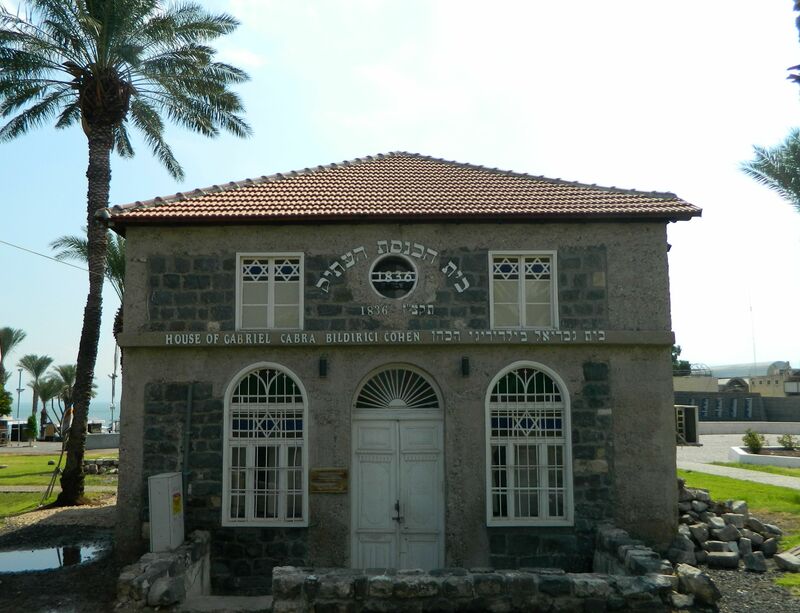 Tiberias’ Saraya is two floors; the upper being the governor’s residence and office while the lower floor contained jail cells and stables for the Ottoman postal service. 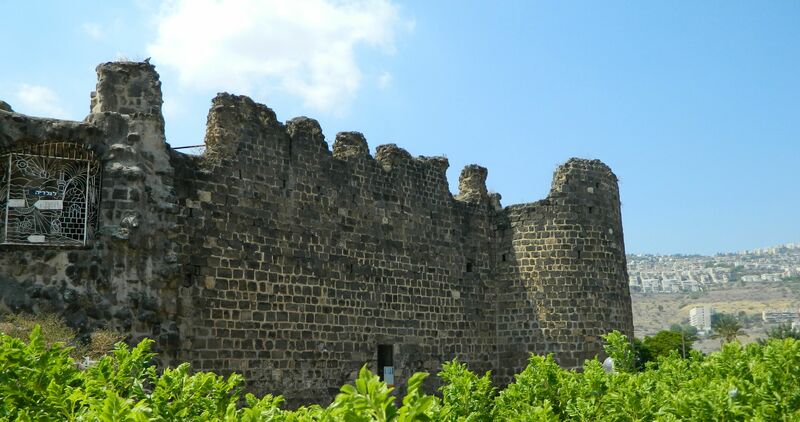 Slightly further north is the Fortress built by Daher al-Omar’s son with its impressive tall basalt walls and round corner towers. 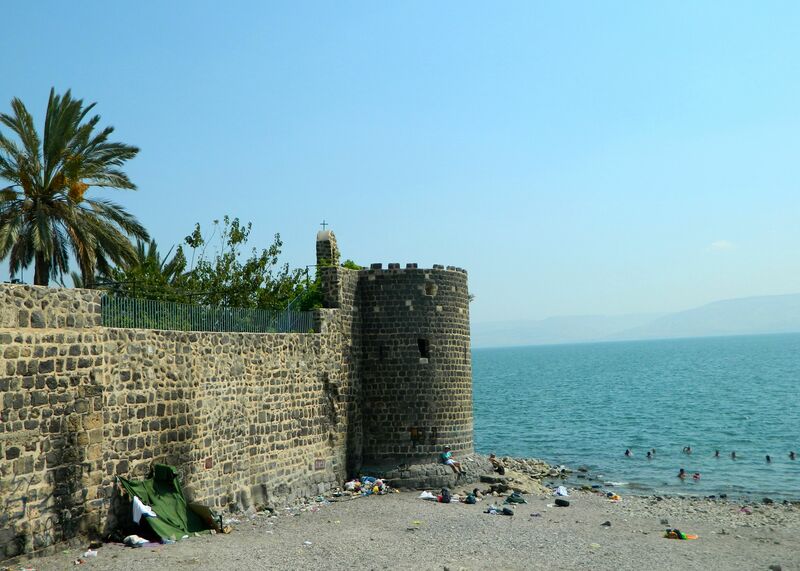 When we were done looking around the fortress area, and we were sure we saw everything of interest in the Old City, we returned to the car for the second leg of our Tiberias trip – coming next! 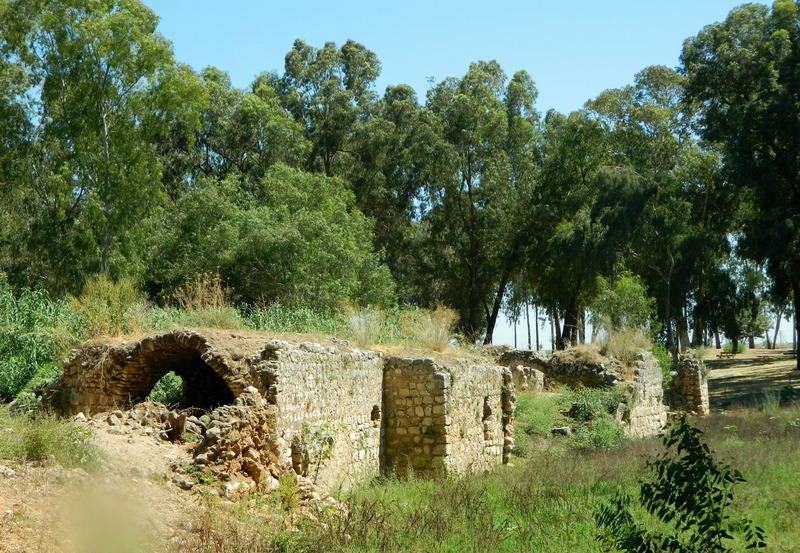 Following my visit to Migdal Afeq (Mirabel) and then Tel Afeq (Antipatris), I continued on to the Yarkon National Park – the source of the Yarkon River. Being that Tel Afeq is a part of this park, I was able to just slip out the back gate and walk through a field to visit the Yarkon section. Parallel to the trail is a canal which helps direct spring water to the start of the Yarkon, which eventually drains into the Mediterranean Sea some 28 kilometres (17 miles) downstream, at the northern end of Tel Aviv proper. Along the way I stopped at the water lily ponds where various fish, including catfish, and waterfowl live – the one egret I saw flew off when I got too close. Camera ever-ready, I also scoured the ponds for coypu and mongooses along the water’s edge, but didn’t see any. After the lily ponds is the industrial Yarkon pumping station of the Mekorot water company, which has a visitors centre open for groups (free). Supplying the whole Mercaz area of the country with water, the bulk of the Yarkon’s water discharge goes to the pipelines for agricultural and domestic consumption. 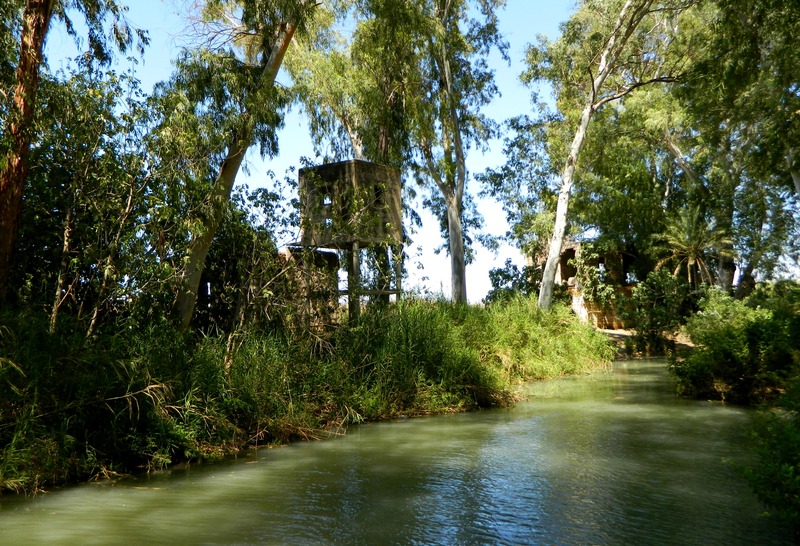 Only a surprising 0.2% of the springs’ water flows into the Yarkon River – from a total of 200 million cubic metres of water a year. The water from the Jordan River, which originates in the Upper Galilee’s springs and the annual winter runoff from the mountains (especially Mount Hermon), flows into the Kinneret (Sea of Galilee) which acts as a natural reservoir. 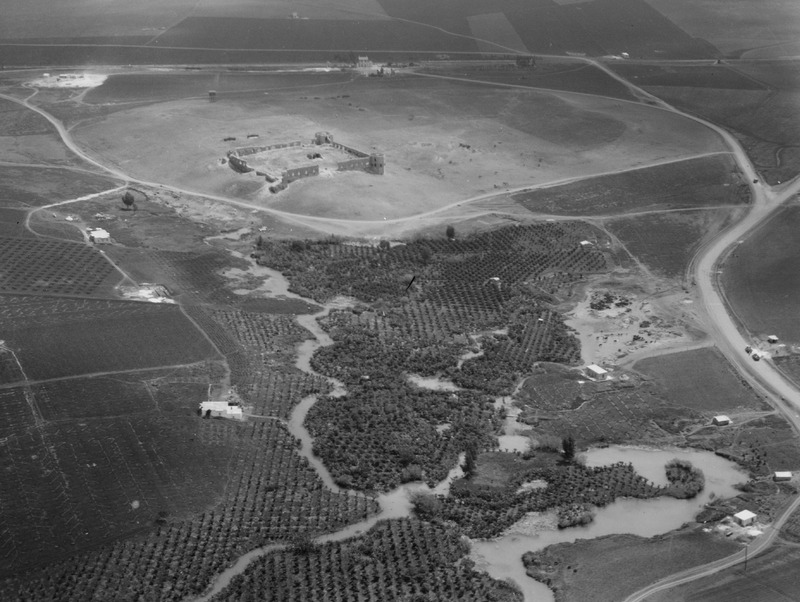 A percentage of that water is then pumped up at the Sapir Pumping Station not far from Capernaum, and then sent along its south-bound path via pressure pipes and the Jordan Canal. 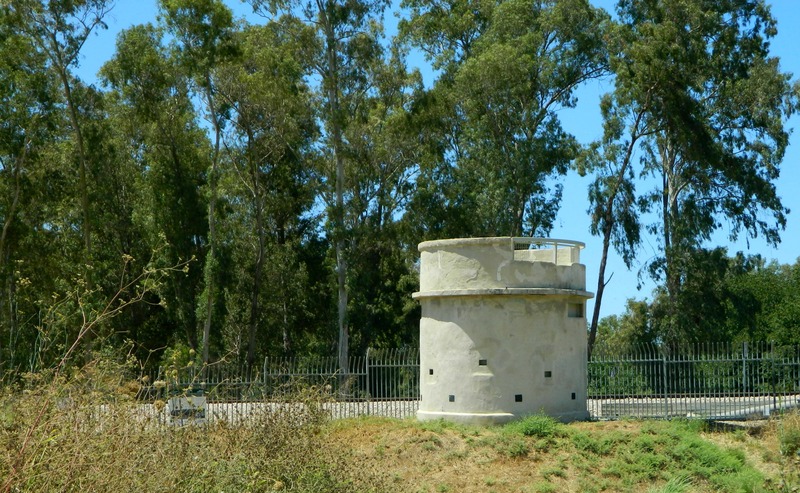 Passing several reservoirs, pumping and filtration stations and canals, the water then makes its way to the Yarkon pumping station where the waters are mixed and sent to either the Tel Aviv area or further south to provide the Negev with water. The whole infrastructure is very interesting and was an incredible undertaking and learning all about this actually inspired me to read up on aquifers and water sustainability on my train ride home. 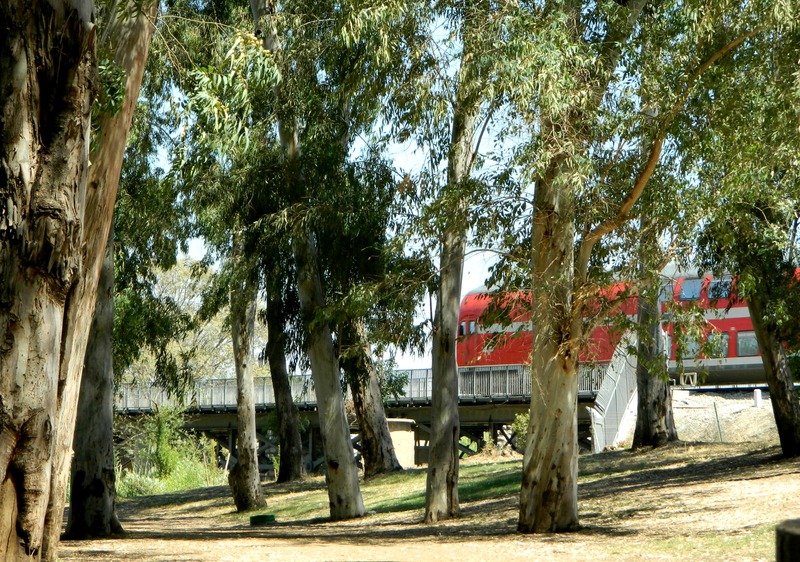 Just beyond the pumping station is the back entrance to the Yarkon park, bordering the south side by still-operational train tracks, with the trail passing under an old bridge. Built in the early 1920’s, the railroad was an important regional development, helping the farmers of nearby Petach Tikva to send citrus harvests to Yafo (Jaffa) for export. In the mid to late 1930’s the British were forced to build a pillbox to guard over the tracks and the bridge from Arab attacks. Today the pillbox is vacant, but the trains thundering by were numerable to say the least. 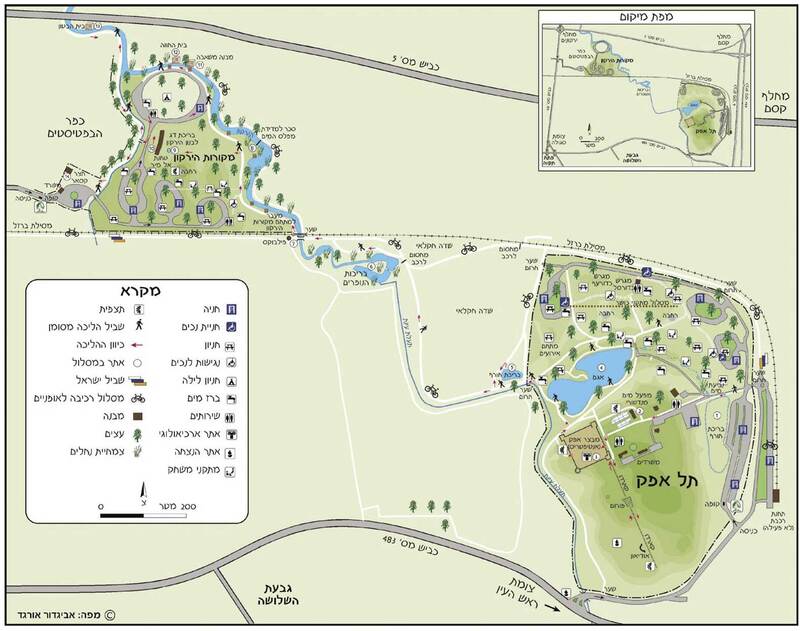 Entering the Yarkon section, I began by walking along the fledgling river and then laid down for a spell to read the park pamphlet I had received earlier and to enjoy the quiet nature resuming life all around me. I scoured the tall eucalyptus and bald cypress trees overhead, hoping to spot a sleeping owl (without success) and then turned my attention to a fish mulching about in the pondweed and hornwort. Following the meandering river, I next came upon two ruins from the Ottoman era along the river bank – a house and a pump structure. I then looped around the northern end of the park and temporarily left the park via the “Romantic Trail” to go see the Concrete House which was the very first building in Israel to be built of reinforced concrete. Walking on a dirt path next to the Baptist Village I came upon the remains of a concrete house with rebar clearly visible. I naturally assumed that this was the Concrete House marked on the map, took pictures and returned to the park. However, I had stopped at the wrong place, the real Concrete House being some 700 metres (2,300 feet) further along the trail – 0h well. Back at the park, I next visited the al Mir flour mill, one of the largest old mills in the country which operated thirteen pairs of millstones during the Ottoman era. 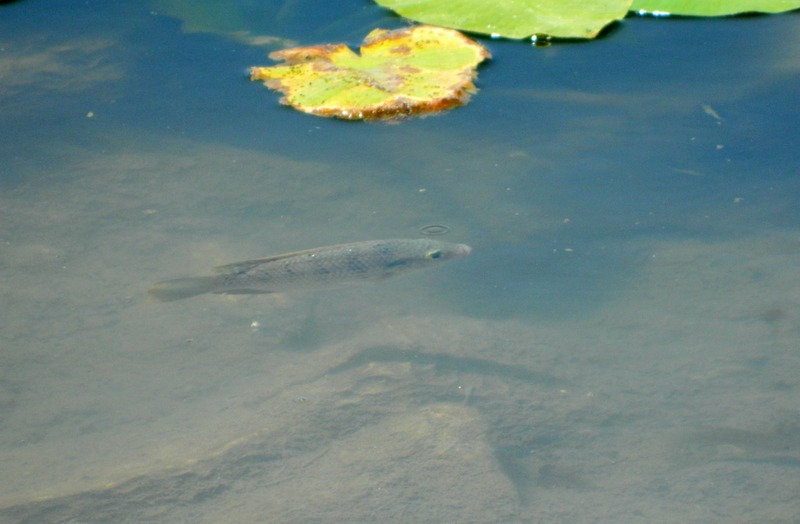 With a quick stop at the Yarkon bleak pool, I was unable to find any of the endangered Yarkon bleak fish in the murky waters and so continued on to the last of the park’s sites: the Qa’sar farm. 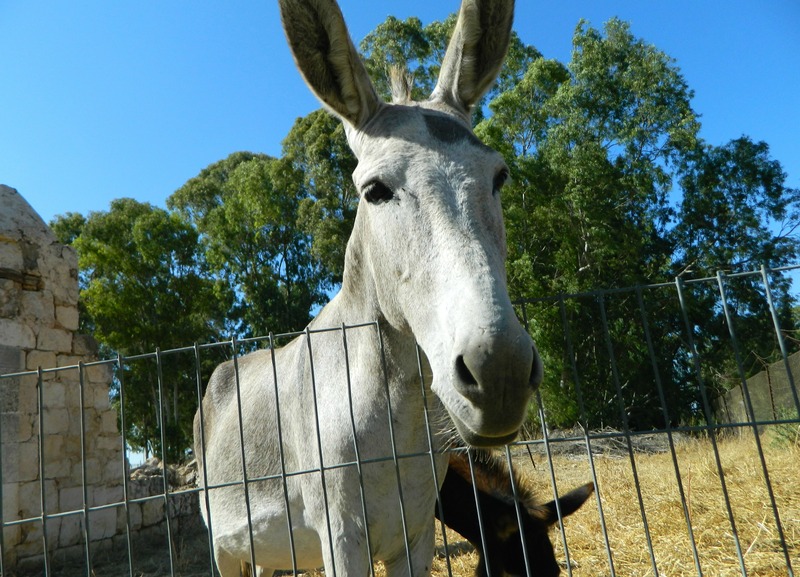 The farm was originally owned by an Egyptian man in the early to mid-1800’s and then sold to Salim Qa’sar of Jaffa who, in turn, sold it to the Baron Rothschild in 1895 for the benefit of Jewish farmers. Seeing just four stone walls remaining, I made friends with three nice donkeys while I waited for a ride from a gracious park worker to the nearby train station. And that is the end of my exciting trip to some very interesting sites in the centre of the country, a region I hardly explore. Next adventure here I come!